Pinto Beans prepared fast and easy seasoned without meat. 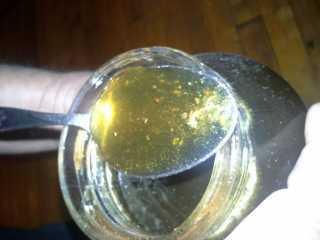 Beans that are good with your favorite salsa added to them, chow chow, onion, or eat as is with a big piece of cornbread. Wash beans in bowl with water strain in colander, run fresh water through the beans. 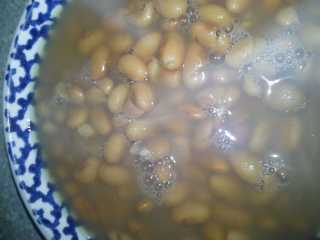 Put beans in pressure cooker and cover with water. 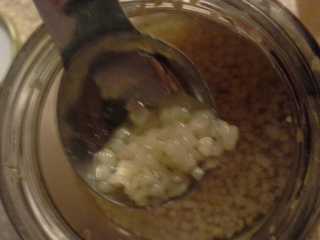 Then add salt, garlic, olive oil, and honey. Place lid on cooker let steam build and get to a steady stream for five minutes, put on weight and cook at 15 lbs pressure for 25 minutes. Cool cooker under runnning water.